A seven-year-old boy with dual British-Australian nationality was killed in the Barcelona terror attack, Catalan police have confirmed. Julian Cadman was one of 13 people killed when a van ploughed into crowds on Barcelona's Las Ramblas on Thursday. His mother Jom was injured and it was understood she was in a serious but stable condition in hospital. Julian's family said they would "remember his smiles and hold his memory dear to our hearts". "Julian was a much loved and adored member of our family," they said in a statement. 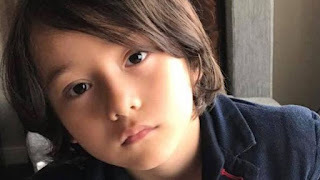 They also thanked those who had helped in the search for the boy, saying: "Your kindness was incredible during a difficult time." Posting on Twitter, Foreign Secretary Boris Johnson offered his sympathies to Julian's family and said: "His death is a tragedy." Julian's father and grandmother travelled to Spain from Australia following the attack. The boy's grandfather, Tony Cadman, made a public appeal after Julian went missing, urging people to share his photograph on social media, and revealing that his daughter-in-law was in hospital. According to his Facebook profile, Mr Cadman is from Gillingham in Dorset but lives in Sydney. Julian had attended Chiddingstone Nursery, in Edenbridge, Kent, during his time living in the UK before he and his parents relocated to Australia. A Foreign Office spokesman said: "We are assisting the family of an Australian-British child who was killed in the Barcelona terrorist attack. "His family have our deepest sympathies at this very difficult time. "Our staff are doing all they can to support them, working with our Australian colleagues and the Spanish authorities."